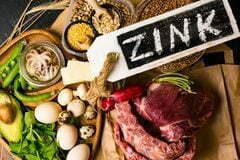 Are you getting enough Zinc? Collagen – The latest buzz word in the natural world! The power of Vitamin C! Chemical free hair products, as nature intended! How to tell if you have raw honey! Is your deodorant causing you harm? Invest in Health is 100% committed in our promise to strive to only supplying elite quality, pure and proven products to assist the body in times of need.